From surfboards to jerseys of your favourite football club, these stores will help you stock up on your sports and fitness supplies. French sporting goods retailer Decathlon, known for its accessible prices, finally arrived on Kolkata shores last year. One of the world’s largest sporting goods retailers, their trademark blue-and-white warehouse (located in Howrah) has every sports and fitness related-equipment you can imagine. Their stock covers over 50 sports, including fishing equipment, giant trampolines, surfboards and camping gear. You can even scour their collection online, order and pick it up from the outlet. Even if you’re not looking to buy, you can have a fun day out just playing with stuff, testing out their cycles, etc. Established back in 1942, the city’s sportsmen have been frequenting GK Sports for all their sports, gym and fitness needs for as long as anyone can remember. You can even pick up stuff for your home gym. The staff is extremely well versed with the products and will help you out if you’re having a tough time. A good place to get the major brands under one roof – they have products from Nike, Reebok, Puma and more – it makes it really easy to compare prices and products. For basic sporting needs like swimsuits, shoes, jogging wear, you can head here. Since they’re always pretty busy, they may not be able to give you the individual attention required to make more substantial purchases like tennis rackets or cricket bats so we recommend you go for quick-buy sports stuff. Buying gym equipment and fitness accessories has never been easier. 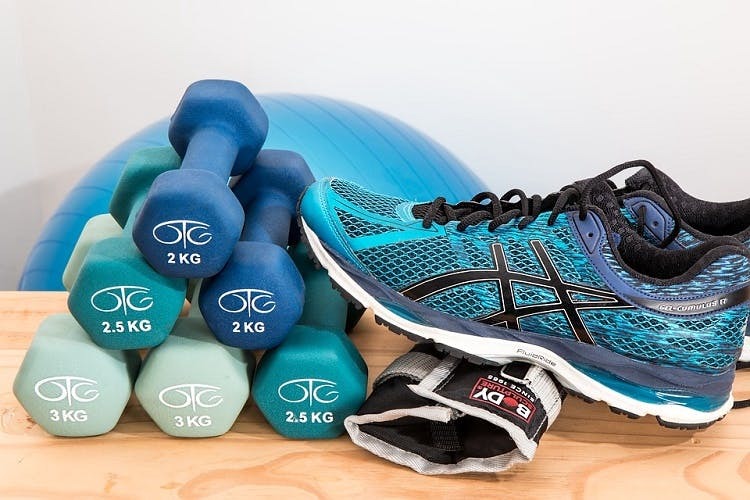 They have everything you need for your home gym and lots of options to choose from – treadmills, stationary exercise bikes and even massage chairs. You can check out their entire collection online before heading to the store. They will deliver the equipment to your doorstep and even service and repair your stuff. Officially known as the ‘Dr. Bidhan Chandra Roy Market’, Maidan Market is a haven for sportsmen of the city. This huge maze has about 400 shops which remain open all days except Sundays. The products are all extremely reasonably priced (even dirt cheap if you’re good at bargaining). There’s no shortage of stores with football and cricketing equipment but you have to hunt for goods for other sports. You can even get a trophy customised or jerseys from your favourite IPL team. Forget YouTube, these shop owners will give you a first-hand tutorial on maintaining and fixing your equipment. Some of them even accept PayTM if you don’t want to carry cash into the crowds.